Nissan reportedly plans to drop the UK price of its all-electric LEAF model in a move designed to accelerate slow sales that are currently languishing below its forecasts. The Japanese auto-maker has sold 12,000 LEAFs in the first half of the fiscal year - a rise of 11 per cent on the previous year, but still well short of the 40,000 it expects to deliver over the 12 months, Andy Palmer, Nissan's executive vice-president, told the Financial Times today. The company has already cut prices in the US to run-out end of year models in the lead up to rolling out a budget variant Leaf when they start US production later this year. 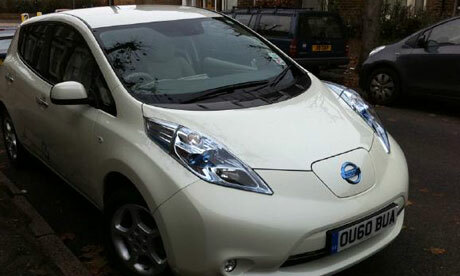 Nissan currently offers the car, which sells for about £26,000 in the UK after a £5,000 government plug-in car grant is deducted, in two high-specification versions that include premium features like a high-end navigation system. It will offer a lower-priced, lower-trim version alongside from next year, when it will begin making the car at its plants at Sunderland in the UK. The strong yen has constrained Nissan’s ability to advertise the car, Mr Palmer said. However, it has started running a television advertisement in the US pointing out that the average American drives only 29 miles per day, well within the Leaf’s range.